and costly act of getting lost, Winans encourages investors to learn from history in order to successfully tackle the age-old challenges inherent in profitable investing. 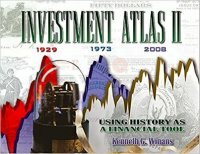 An artistic and colorful reference book, Investment Atlas II offers useful information about the performance and characteristics of stocks, bonds, commodities, real estate, and collectibles since the 1800s. Winans examines past bull and bear markets within the various investment groups to show how they differ as well as the tools investors can use to navigate the changes in long-term trends. 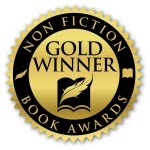 Investment Atlas II also reviews the at times surprising reactions of investors to both triumphant and catastrophic historical events, including wars, peacetime achievements, natural and manmade disasters, and government actions, including interest rates, taxes, and regulations. As proof of the success of historically based market analysis, Winans notes that many of the time-tested research tools he presents in Investment Atlas performed brilliantly, signaling the new bear market that arrived in January of 2009 in stocks, bonds, and real estate as well as the new bull market in common and preferred stocks that arrived in April of 2009. Kenneth G. Winans is a successful investment management entrepreneur, award-winning author of four books and active philanthropist. Over a long career, he has conducted investment research and designed investment strategies while serving as a portfolio manager, investment analyst and financial writer. Unique in the financial services industry, Mr. Winans has documented “track records” as a market strategist and a portfolio manager. In fact, his proprietary research has led to an impressive record of accurate financial forecasts since 1991. He has also had much of his investment research published as headline articles by leading websites (including a widely read column for Forbes.com), magazines and newspapers.